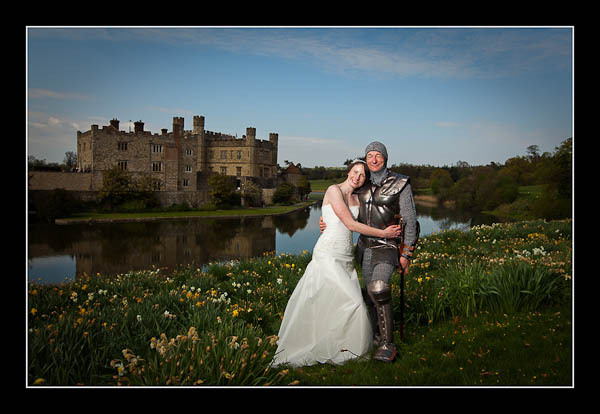 I had the pleasure of photographing Chrissy and Andy's wedding on Saturday at Leeds Castle. And yes, the groom was wearing a suit of armour. Also, one of the themes of the wedding was rather unusual - sheep! From a photographic perspective the day was perfect. The sun was shielded by clouds for most of the afternoon and the resulting light was soft and diffuse. And Leeds Castle does make for rather an attractive backdrop. Chrissy and Andy's images are already available to view online. Please check out the gallery from their wedding at Leeds Castle or view this gallery if you're using a non-Flash compatible device.